The first thing that intiruged me about Fault was the audio quality during the demos. Pitch bending plugins have notoriously been the least impressive when it comes to quality, and it was only a matter of time before plugin developers made a concerted effort to close the gap. Moving notes around a few cents in correction tools has slowly got better, but anything beyond 3 semi-tones is usually asking for trouble. Fault appears to be different. It even seems capable of a decent result if you push it to its limits of a whole octave. I look forward to testing the plugin for this use alone, especially with harmonic-rich content such as pianos. Besides the processing quality, what seems to set this plugin aside from other releases is the use of a very creative interface. 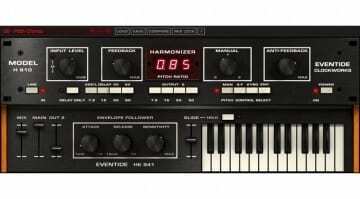 It includes a frequency shifter with modulation controls and stereo enhancement tools. There’s also a Feedback matrix, stereo delays, filtering and clipping parameters, along with all the usual modern plugin controls such M/S processing, dry/wet etc. The real party piece however, comes in the form of up to 6 LFO-modulators. 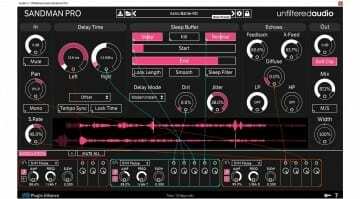 With these you can create subtle moving effects such as chorus and flanger presets that we already know, through to highly unusual sounds. Patching the modulators to any of the plugin’s controls is a simple click and drag operation. As with all Plugin Alliance products, Fault is provided in AAX native, VST and AU formats, for Mac OS 10.6 or higher and Windows 7 through to 10. For more information and to download the 14-day demo, head over to Plugin Alliance’s webpage for Fault. Purchasing Fault will set you back a reasonable 99 USD.